Valentine’s Day, the holiday of romance, admiration, and compassion. Cupid’s arrows fly all over on this day, and so many people hope they get pegged… in one way or another. But for those who never liked this day, even when in a relationship, there are certain behaviors and actions that can totally ruin it for you. Avoid doing these ten things that will sabotage Valentine’s Day for you and your partner. Thinking about buying yourself a Valentine’s Day carton of ice cream or a bouquet of roses? Stop. Put the item down and walk away. There is nothing wrong with treating yourself, but you are doing it for the wrong reasons. Thinking, “I am buying this for me, because I do not have a love that will,” is epitomizing your loneliness and coalescing in into an object you probably do not even need. Misery loves company, right? Common belief but no. Pointing out that someone may be upset on Valentine’s Day is seriously wrong, even when you are also spending the evening alone. Instead of commiserating the wrong way, do something fun together. And for those of you in relationships that decide to send out Valentine’s Day cards, be chary of who has and has not ended their partnerships. Otherwise, you might be doing some serious emotional damage. “Omg Happy Valentine’s XOXO.” Hello, you two broke up. Reaching out to someone you have separated yourself from on the holiday celebrating love comes off purely as desperation. Even if you are doing it to prove a point, do not reduce yourself to acting out of spite. Be the bigger person. Count your blessings for being single. Of course, many people see it fit to ask each other out on Valentine’s Day too, because the day is so romantic. However, let me be the first to warn you of how awkward this situation can get. First, the person asking you to “Be Mine” may just want the image of having a date, so they are not serious. Second, they might be asking for more than just a dinner, if you catch my drift. What? How could you? Even if you loathe Valentine’s Day and do not consider yourself a romantic, chances are your partner is expecting something. 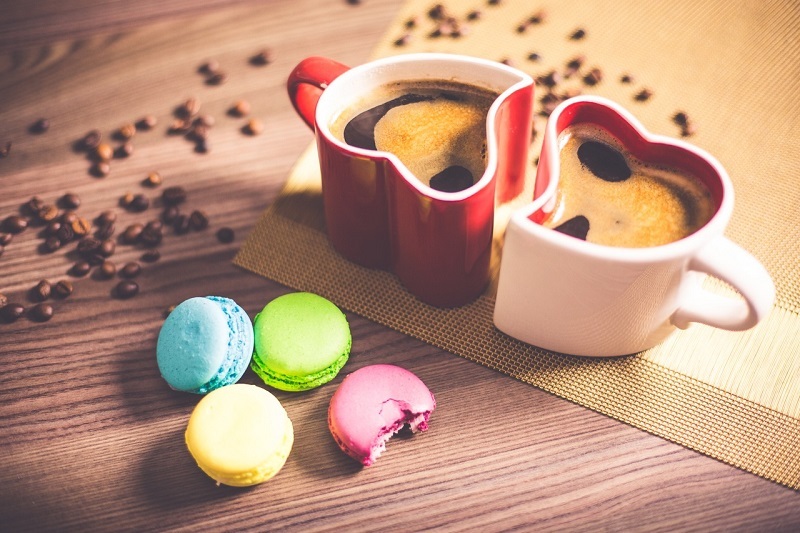 Even if it is just you saying, “Happy Valentine’s Day” in the morning over a cup of coffee, that is better than not acknowledging the holiday at all. Remember, Valentine’s Day is not just all red roses and fat cherubs. It is a day to promote little acts of kindness towards those who matter most in our lives – our significant others. This can be on dinner, on a show, or what have you. Just leave the coupon binder at once for once. It is all right to be frugal every other 364 days of the year, but on Valentine’s Day, the two of you deserve better. You deserve a candlelit dinner that is elegant yet affordable. Heavily discounted meals and merchandise are the equivalents of saying, “I do not love you enough to pay full price, sorry.” If you want to save money, make dinner instead of going out, for example. And stay away from the 99 cent greeting cards. On the opposite end of the spectrum, breaking the bank account to bestow upon your parent an overflow of luxury items is too much. It does not matter where you are at in your relationship. Huge, decadent displays of affection, like a brand new sparkly car, can be overwhelming, especially if you two are not exactly millionaires. Think in terms of what is a luxury for you both but has a moderate price tag – like a weekend at a spa or a bottle of champagne and gourmet pizza. Again, overloading your partner emotionally on Valentine’s Day when you two are a relatively new couple can really ruin the Valentine’s Day experience. Beyond gifts, I am talking about sudden – and unexpected – nakedness. Your partner might not be ready yet. Just because it is Valentine’s Day does not mean that your date or your SO is going to want to get it on. There are some who believe Valentine’s Day is another Christmas, where you get showered with affection, gifts, and all kinds of pleasantries. Having expectations that are contingent on how big the bouquet you receive or how stunning of a diamond the ring should have are setting you up for disappointment. Instead, think about the current situation, time, and effort your partner spent on your gift, even if it is just a card and an embrace. Love should not have to be expressed through material things. Sadly, Valentine’s Day is not just for you. It is also about your significant other. Do not get so wound up in what they should be doing for you that you forget about their feelings and needs. Ideally, Valentine’s Day is a holiday of compromise, which, in reality, is exactly what love is all about. Whether you like the overload of pink hearts and boxed chocolates or would rather hide away in the dark on February 14th, there are things to avoid to make the best of this holiday. Give love to all, even when you do not expect any in return.